Adrian Coppin and co-driver Erin Kelly have confirmed they will return to compete in this year’s CAMS Australian Rally Championship. 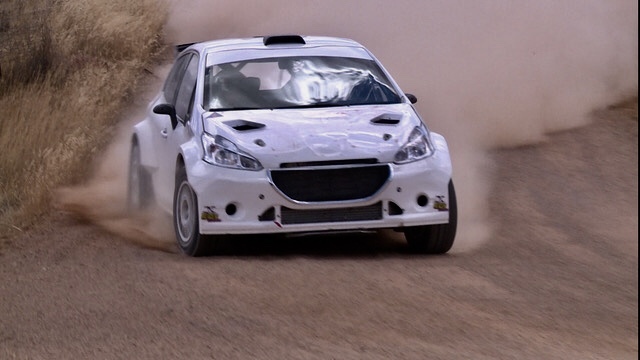 After sitting out last year’s championship, Coppin has confirmed he will steer a new Peugeot 208 AP4 prepared by Perth squad Race Torque Engineering. Coppin enjoyed a test session with the Peugeot late last year. Having previously driven a Toyota Corolla S2000 and Ford and Citroen front-wheel drive machinery, Coppin was in awe of the AP4 car. “I tested the car before Christmas and it is undoubtedly the best rally car I have ever driven,” Coppin said. With the new car also arrives new corporate backing, with national telecommunications carrier Optus joining Coppin’s long-time sponsor Castrol. “I am really excited to be able to announce the partnership with Optus and Castrol. 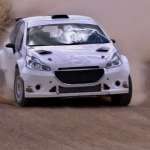 Both companies are household brands and I think that their involvement with my team and with rallying is an important step forward in the development of the CAMS ARC,” Coppin said. Co-driver Kelly is eager to commence pre-season testing in the coming weeks with Coppin. “I’m really happy to be back in the ARC again with Adrian and a new car,” Kelly said. Coppin is aiming high for his 2018 campaign, seeking to avenge his last season in 2016 that was hampered by problems. “I am not here to make up the numbers,” Coppin said. The opening round of the 2018 CAMS Australian Rally Championship will take place at The Courier Eureka Rally on 3–4 March in Ballarat, Victoria.